We’re often asked how we differ from other patient review solutions or reputation management systems. The truth is, there are systems similar to Boolean. However, our priority is reviews only. Our cloud based software works anywhere and everywhere.It’s not an application that has to be compatible with other systems. We won’t try to up-sell or push anything else on our clients and we don’t have middle-man software to get in the way of a patient going straight to the review. But most of all, we wanted to provide a service that doesn’t require extra bells and whistles. We wanted something that would blow our clients away, and help them save money in the process. Our system is the simplest, most streamlined solution on the market. In fact, our opinion is, the simpler the better. We use a synchronization of preexisting platforms and cloud based software to blend automation with patient interaction. With Boolean, we’re targeting specifically that 70%, and we’ve made it easier than ever. The Boolean philosophy revolves around patient interaction, paired with automation. What that means is, your staff is provided with a very specific script that will be used with every patient. Within that script is a request for a patient to leave a review. After the getting affirmation, and determining which review system the patient prefers, an automated message that has already been populated with the patient’s information will be sent. The message is intended to look authentic, not branded, and all of the content can be customized. After a patient has verbally agreed, they are able to go about their day without inconvenience. The automatic message is a simple reminder, and with only two clicks, a patient will never get redirected or mislead. They are immediately taken to your review page. What platforms does Boolean integrate with? First of all, Boolean can integrate with any review platform. That being said, we do prioritize Google, Yelp and Facebook for one very important reason: Those are the most used and trusted platforms for consumers. One of the reasons these are trusted by consumers is because all reviewers are required to have an account in order to leave a review. That means no duplicating, no impersonating, no faking, and no deleting. Because these platforms are the most widely used, the most credible, and the most likely to impact your ranking and visibility. If you are strong on these systems, you will have a strong online presence. We get this question more often than any other question. While a lot of companies are selling software that allows you to audit, and/or screen your reviews before they make it online. Screening or Deleting Bad Reviews Immediately Ruins Your Credibility – Any platform that allows you to edit or screen for reviews before you “publish” them is not a trustworthy source, and consumers know that. Think about it, all of the respected review platforms out there: Google, Yelp, Facebook, Amazon, etc. do not let owners edit or delete unfavorable reviews. The Fear of Getting a Negative Review Is Worse Than actually getting a Negative Review – There is so much angst and worry out there about what a bad review is going to do to your practice. Everyone knows that scenarios arise even with the best practices out there. What is more important is how you react as a business to those negative reviews. The reality is when you get a negative review you respond to it professionally, offer to reconcile the situation with them, and move on. 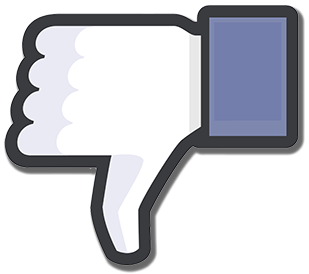 Negative Reviews Are Not Bad – Research shows that consumers find a business more credible when there is a mix of reviews. The most important thing is that you have a high overall rating (i.e. a 4.7 or 4.8 out of 5). An office that has all 4 and 5 star reviews, and no 1, 2, or 3 star reviews looks suspicious to consumers. Negative Reviews Are The Most Read Reviews – Understand that when a potential customer views your online reviews, they’re looking for the worst case scenario. They want to know what happened, when it happened, and how you, the professional, responded. A bad review could actually end up being a primary opportunity to show your true colors, and craft a response that you know will be read by nearly everyone! Drowned Out the Bad With The Good – The best solution to dealing with negative reviews is to continue generating reviews. 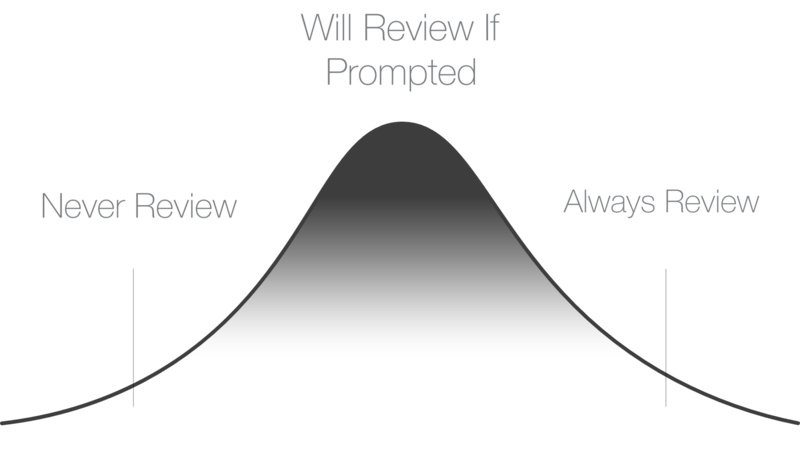 One Negative Review is going to have a much bigger impact on your average rating if you only have 10 reviews than if you have 100.